If you are looking to drive delivery, whether as an Amazon delivery driver, a parcel service driver, pizza delivery, etc., check out our free to download Delivery Driver Resume Sample. Use it as reference or enter your own information. Or, if you’re short on time, take our easy-to-use resume generator for a spin. Not the job you were looking for? 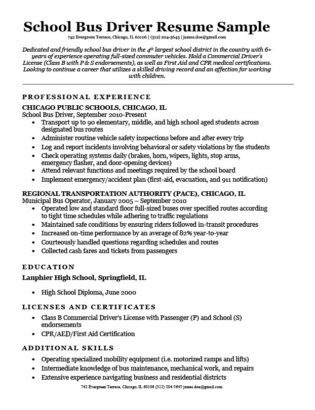 Check out more resume samples here. 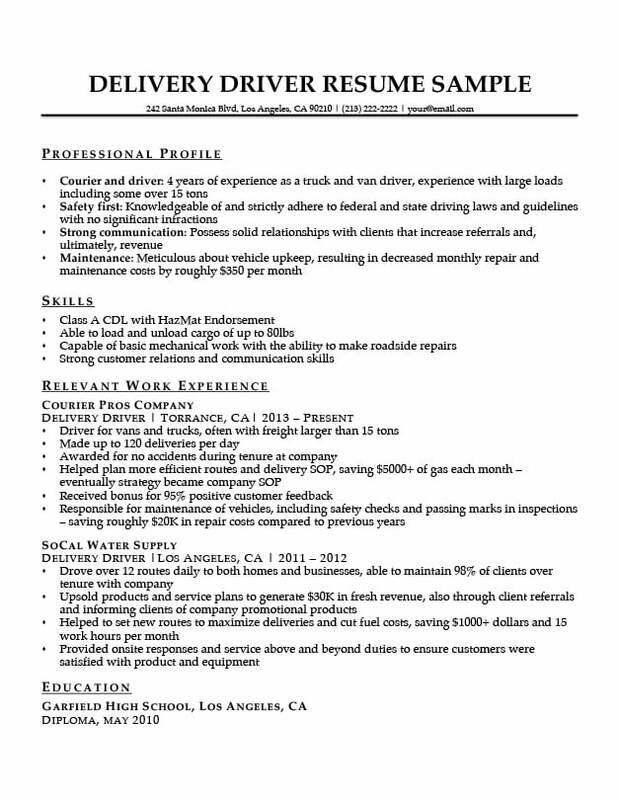 Want a different resume template? Take a look at our other free to download templates. 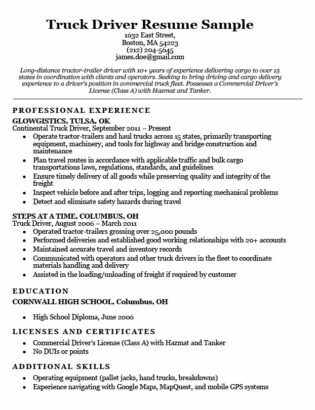 This resume is a combination style format, but there certainly are other ways to write one for a Delivery Driver position. Learn about the different resume formats here. Also, be sure to check out our Delivery Driver Cover Letter Sample. 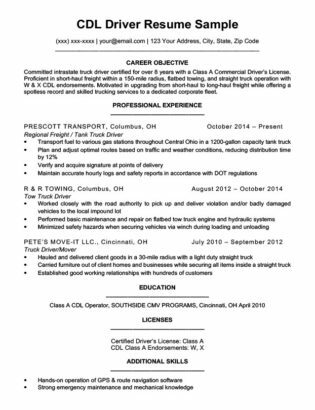 If the Delivery Driver Resume Sample isn’t exactly what you’re looking for, we also have our Truck Driver Resume Sample below for your convenience. Ready to move on? Browse our expansive collection of cover letters for some extra tips. To write your own Delivery Driver Resume from scratch, follow the instructions in this section. For our combination format Delivery Driver Resume Sample, we decided to use a combination format. However, a chronological format is also appropriate. It really depends on what you want to highlight or what you think a hiring manager is going to prefer. If you want to show how much experience you have, be sure to use the chronological format. However, if you want to focus more on certifications or different licenses you may have, a combination style document is more appropriate. The choice is yours. Your skills section can be one of the most important parts of your resume. Especially in combination and functional resume formats, be sure to make this a central section. An important part of your work as a Delivery Driver will be to interface with the recipients of the items you’re delivering. Being friendly, understanding, and willing to listen will get you a long way. Sometimes problems pop up, and you have to act as the intermediary between your store or warehouse and the customer. Being able to clearly describe issues and problem-solve is important. Obviously, as a professional driver, you will need to have top notch driving skills. We don’t mean racing skills though – you will need to drive safely and have a good understanding of local laws. Also having the appropriate kind of license is very important to make sure you don’t get fined and your company doesn’t get in trouble. Many states require special commercial licenses. Furthermore, if your van or truck is over a certain size, you will need to be certified to drive it. If you have any of these added certifications or skills, it also means you can ask for higher pay. There are other examples of driving certifications. Some states require that you have HazMat certification to transport various materials. Others require specific training. If you have any of these added certifications or skills, it also means you can ask for higher pay. So be sure to list the right certifications for the job you want! Now that you have the tools to write your resume, you should make sure you get all the right sections on the document. Always start with your name and contact information. You can also include a resume introduction, with an overview of your qualifications or a career objective. Next, depending on what format you chose, put your work history (for chronological) or certifications and skills (for combination). After that, place the opposite section depending on your format. At the bottom of the document you can list your education, but keep this section short. Be sure the text is different for job titles and job duties. Make more important information, like your name and company names, larger than more detailed items like bullet points. Consider using lines to break up the different sections. If you follow these steps, you should have a great looking resume ready to send out. If you need more help, see our resume formats, templates, and writing guides, or look at our sample above for reference. Good luck!